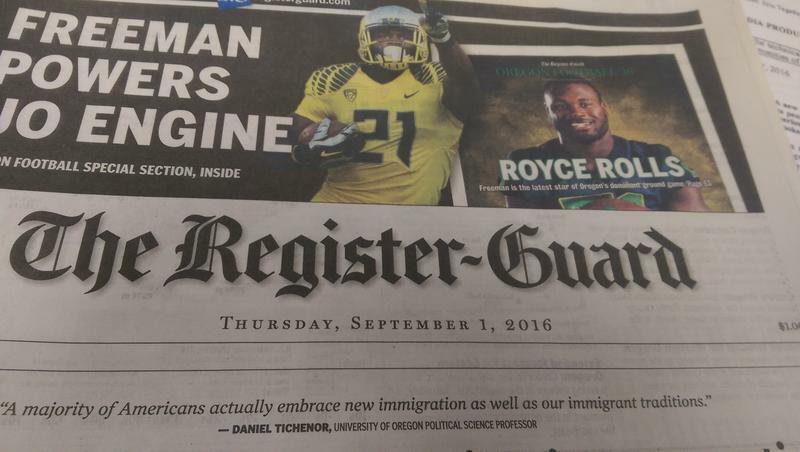 The Eugene Newspaper Guild is a labor organization for journalists and other media workers. 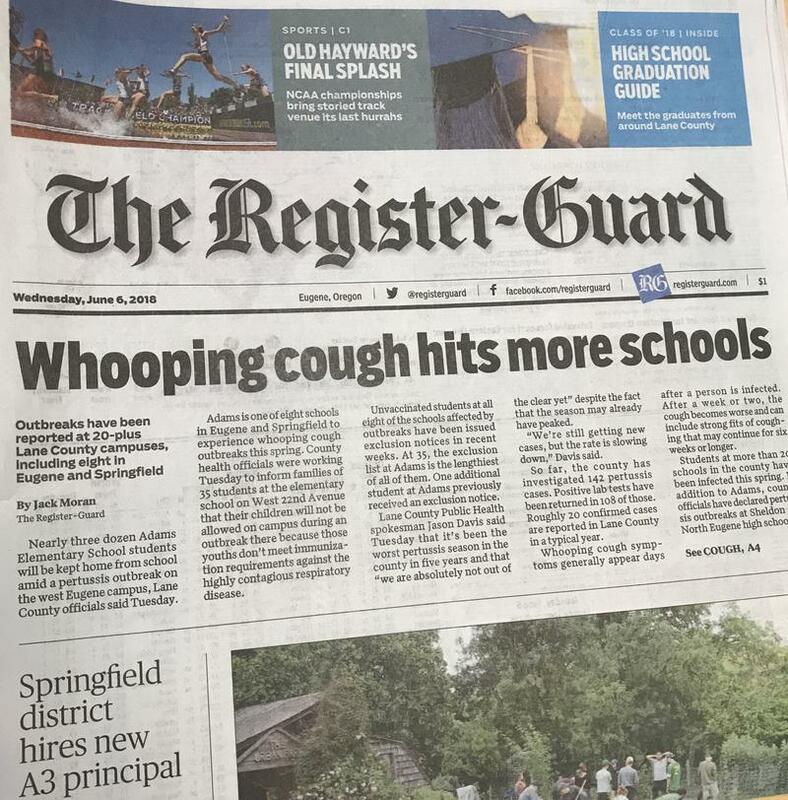 Right now, the union is in ongoing contract negotiations with GateHouse publishing, the new owner of The Register-Guard. The Guild is also involved in another set of negotiations with the paper’s former owners-- the Baker family. 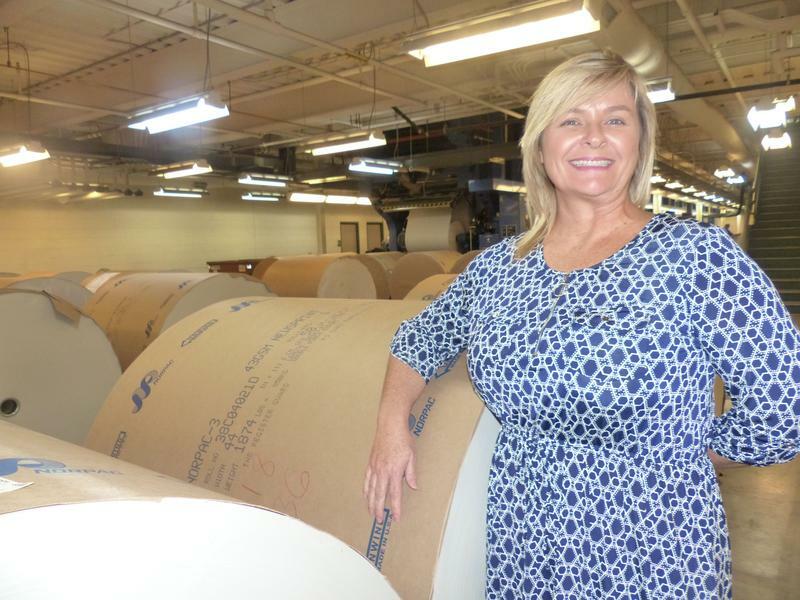 KLCC’s Tiffany Eckert sits down with a Guild representative to talk about the past, present and future of this 90 year old daily paper. Randi Bjornstad has a long history with The Register-Guard. She was a reporter for 28 years and has been a member of the Guild for decades. In 2016, she was fired from the paper after participating in union activity on behalf of a fellow reporter who was terminated and sued. Bjornstad filed a grievance with the National Guild. They represented her in arbitration and she won. Paper boxes outside the Guard Publishing building where the Register-Guard is printed. The building is still owned by the Baker family. Bjornstad chose not to go back to the Register-Guard. She says the Bakers didn’t want her back. In fact, they said they would be willing to add to the settlement if she did not return to work. Randi Bjornstad reported for The Register-Guard for 28 years. Now she is on the union bargaining team to negotiate employee contracts with the new owners. The union contends Guard Publishing owes full severance to Guild covered employees who were on the payroll the date of the sale. The Bakers disagree-- so now they will go to arbitration. And then, there’s the issue of Unfair Labor Practices. Guild representatives say in the Fall of 2017, Wendy Baker, who was lead negotiator on behalf of Guard Publishing, asked Guild employees (like reporters, editors and ad reps) to take cuts in wages, health care and vacation time in order to keep the company afloat and maintain it in local ownership. The Guild considers this to be an unfair labor practice and a violation of federal labor law. The sale was announced January 20, 2018. There are currently only 48 Guild covered employees at The Register-Guard, way down from past years. Bjornstad says layoffs will continue to shrink union ranks. As for the next labor contract, the new owner, GateHouse Publishing is allowed to establish the terms and conditions they want and the union will have to start bargaining from there. After she lost her job at the RG, Bjornstad started working on a new enterprise—a non-profit website (Eugenescene.org) covering arts and culture, a beat she covered at the newspaper for years. She worries we are witnessing the end of something important. 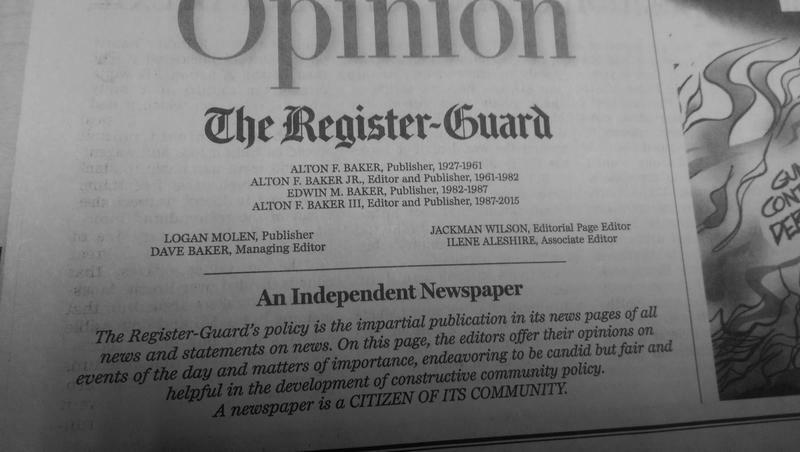 The Register-Guard *was one of the last family-owned, independent newspapers in America. Bjornstad will continue to wear her union hat and bargain contracts for her former colleagues. She says negotiations could be protracted, given there is only one person who negotiates employee contracts for all GateHouse papers throughout the country. The next bargaining sit down is June 19. 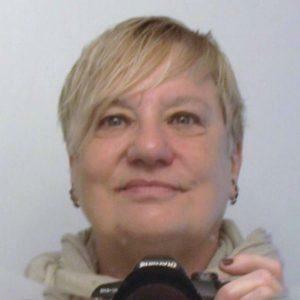 Editor’s Note: KLCC has reached out to Wendy Baker, lead contract negotiator for Guard Publishing, and have not yet received a response. 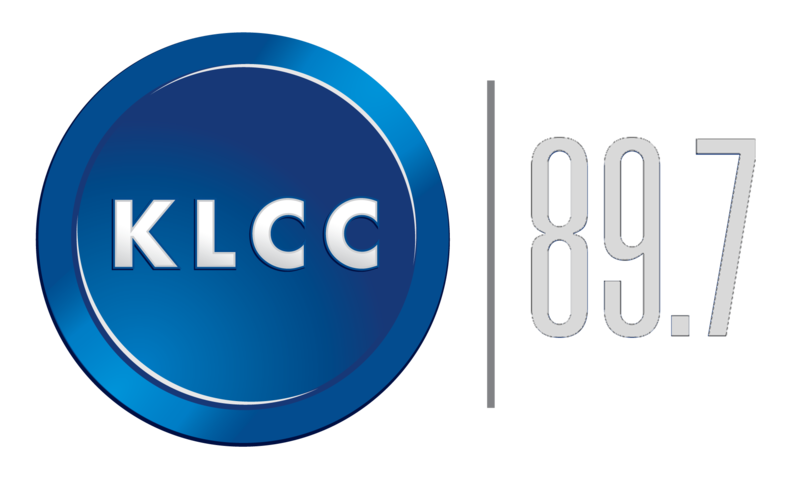 **This is part of KLCC’s continuing coverage on the changes at The Register-Guard. 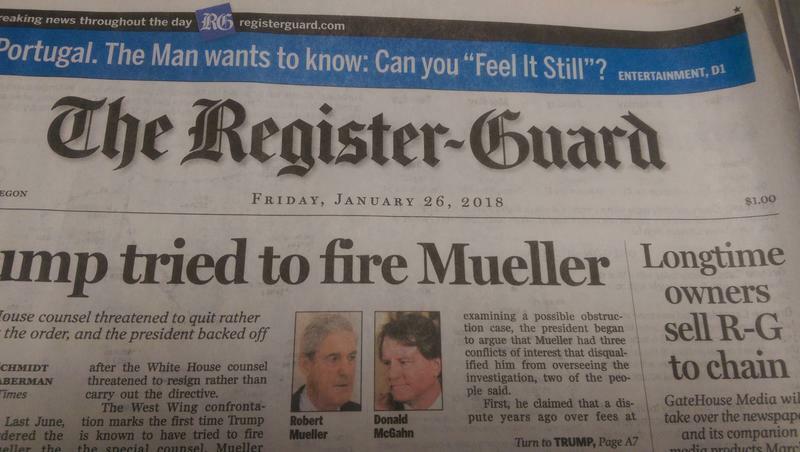 Changes keep on coming at The Register-Guard, since the newspaper was sold to the holding company- Gatehouse Publishing in January. The day before GateHouse Media took over the Register Guard, there was an exodus of high level employees, including the newspaper’s managing editor and publisher. A source with the Register-Guard says several of the paper’s management announced their retirement Tuesday. This, as the sale of Eugene’s only daily paper is set to be finalized. 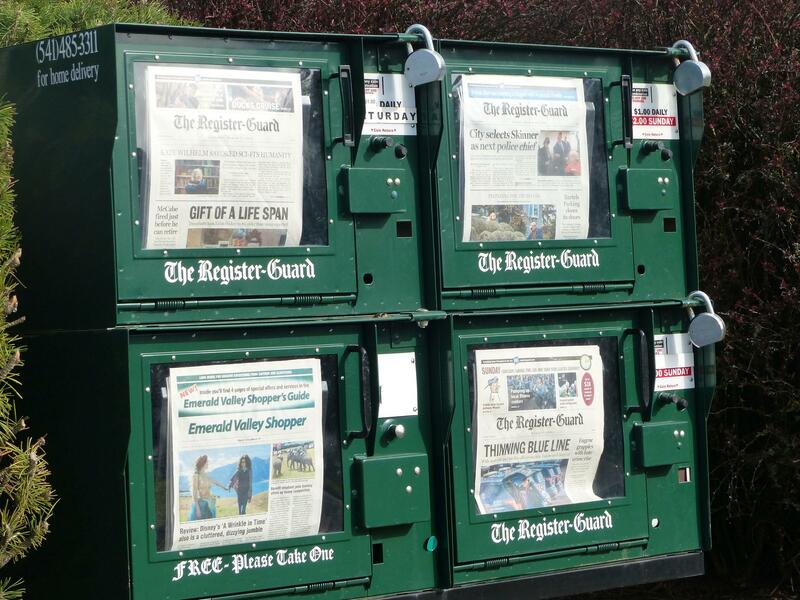 A national company that owns more than 100 other dailies across the country has purchased the Eugene Register-Guard newspaper, which has been independent and family-owned for 90 years. 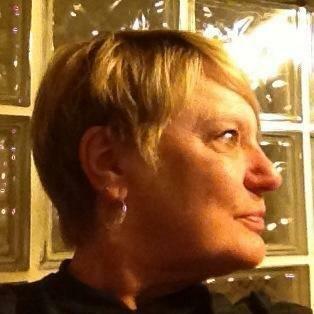 Veteran reporter Randi Bjornstad has been fired by the Register Guard newspaper. KLCC's Tiffany Eckert reports, the reasons cited were very similar to those given to another former reporter.